In this month’s issue we consider the case of Dronsfield v. University of Reading, in particular the EAT’s observations in that case about how disciplinary investigations should be conducted and the role of HR in finalising investigatory reports and disciplinary decisions. We also look at a recent case on the definition of “worker” for whistleblowing purposes, which established that, in some circumstances, a “worker/employer” relationship may be established between an agency worker and an end user. We consider the “cautionary tale” of Byron Burger on how not to assist in a Home Office investigation, with a brief reminder of the risk of not carrying out appropriate “right to work” checks. 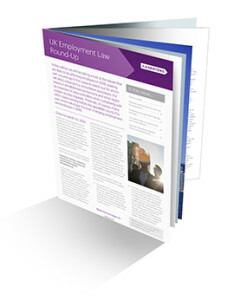 Finally, we consider what’s next for UK employment law – not just in the context of Brexit, but also in terms of the pledges and agendas our political leaders have set out.